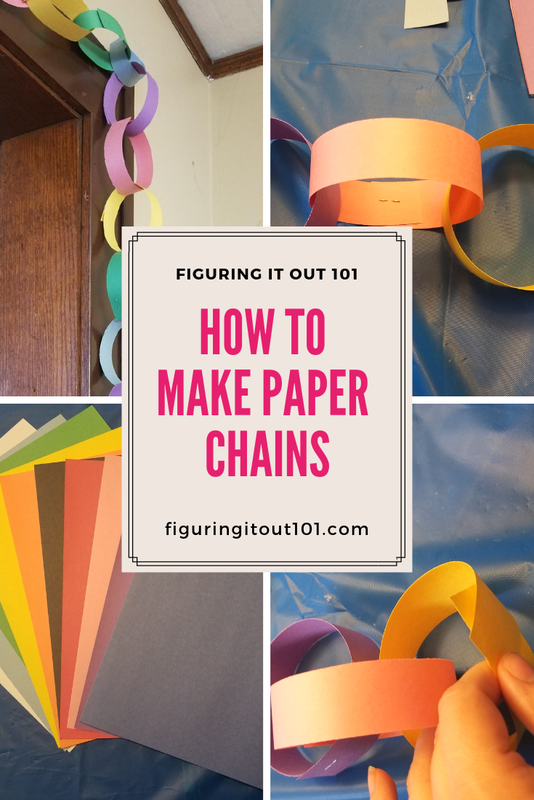 Making paper chains is also an excellent way to teach your kids counting, colors, and even helps their motor development. 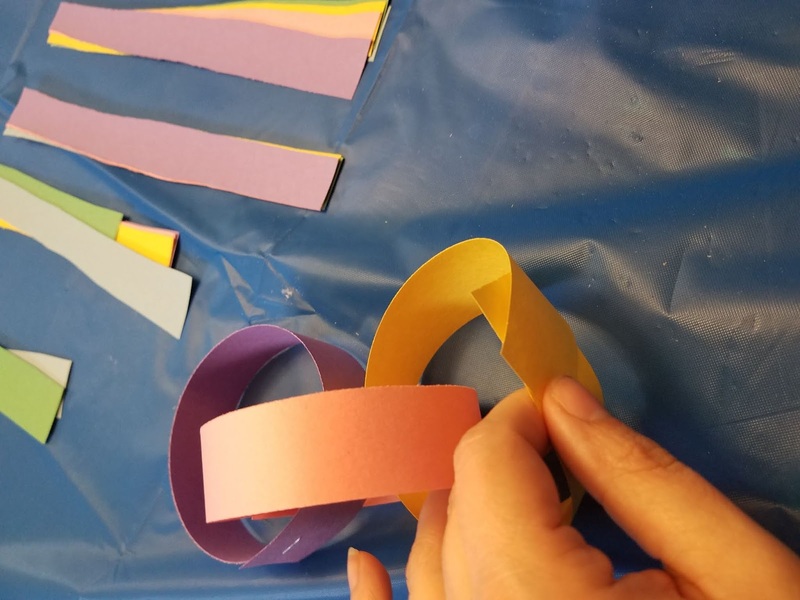 If you let them help, they get the chance to use child safe scissors, they learn patterns because you have to alternate the way the paper is laid out, and they get to practice their gluing. Teachers will also thank you for this. 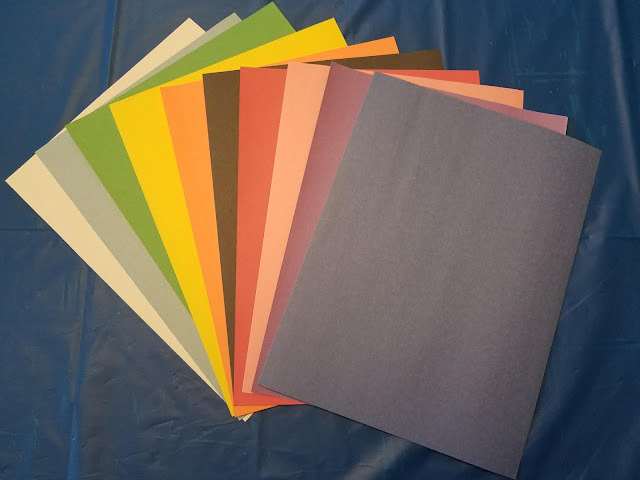 Paper- My favorite kind to use is construction paper. Scissors- You'll need to cut the paper into strips. Glue or Stapler- I prefer to use the stapler when I do the chains on my own, but glue, glue sticks, or glue dots work well with children. I decided to make a chain for counting the days until spring. For this blog post, their are 43 days until the first day of spring. I decided to use what I felt like were spring colors. 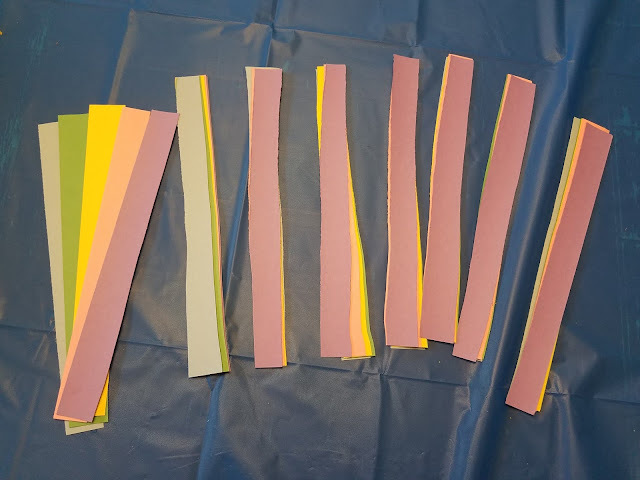 Step One- Choose paper and colors. I like to layer my paper and then cut them together. This cuts down time and strips are more even. Don't layer too thickly or paper will be difficult to cut. Fold the first strip so the ends overlap each other. Either glue the ends together or staple. Link the next strip through the hole in the first link and then glue. Keep doing this until you have a chain. Once you've reached the length that makes you happy, hang the chain somewhere for you to see! 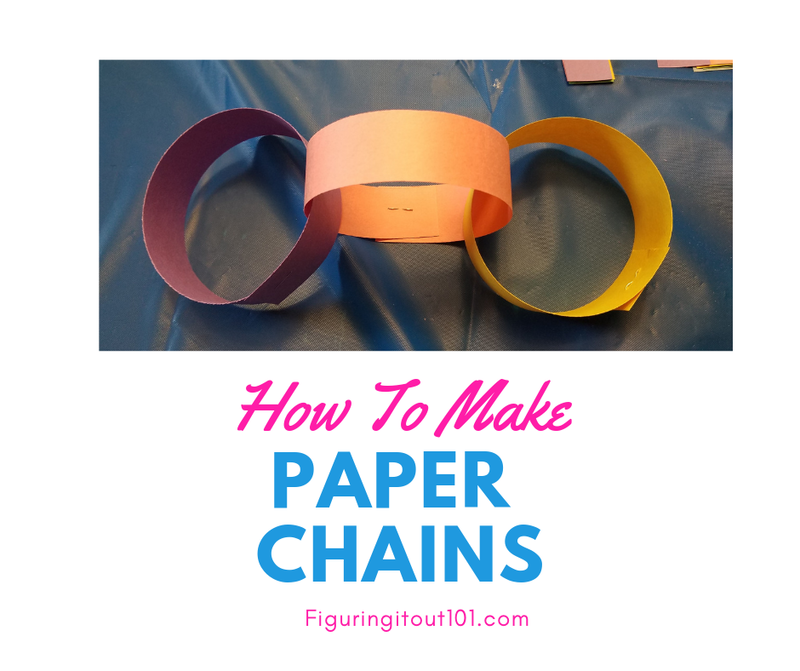 Did you ever make paper chains in school? Which was your favorite? 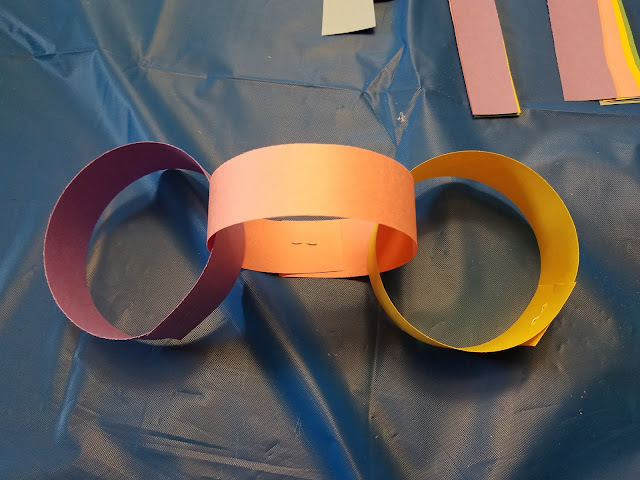 I remember making paper chains as a kid. I need to have my boys make some a craft project. I really enjoy working with construction paper. I've made a bee and an owl for two different crazy hair days for my daughter. I've been thinking about writing more craft ideas pertaining to construction paper. Okay, seriously bringing me back to grade school with this craft! I remember classes and the hallways being lined with green and red chains for Christmas. I remember doing this craft in elementary school! It's so fun, and a really great family or group activity! 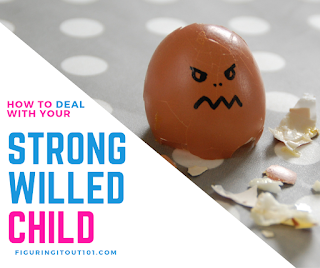 It's so easy and if you give your child a glue stick, they can work on it for a little while. It's a simple idea, but nice especially in effect to decorate a house maybe for a birthday party! It's so much cheaper, too! I like this idea so much because it’s easy to do. That is really cute for any parties or events at home. We have four birthdays in the winter months, so our house is a hodgepodge of decorations. I remember making these in school as well, It was so much fun. My sons 5rd birthday is coming up, I think they will enjoy doing this just as much as we did. Thanks for sharing! Wow! These chains look so pretty! Brings back my childhood memories when I used to make them with my bestie. Thanks! I hope they're great memories! This post has me feeling so nostalgic. I remember making paper chains in school all the time. They were always so festive and fun to make. Those were some of my favorite days. This is so crafty and decorative! This makes me go back to grade school!